If your passenger grabs the steering wheel and causes a crash, should your third-party liability insurance be triggered to cover your losses? What if you’re the designated driver and your passenger is drunk? Until today’s decision, ICBC was off the hook – due to one trial judge’s statutory interpretation that the passenger was not a “user” of the vehicle, and therefore failed to trigger insurance coverage. Naturally, this ruling had caused concern about implications for designated drivers across the province. In today’s decision of the British Columbia Court of Appeal, that decision was reversed. The circumstances of this case are tragic: on July 8, 2006, the plaintiff (Ms. Felix) left a soccer game with her intoxicated and argumentative boyfriend (Mr. Hearne). While she was driving him home along Highway 1, he grabbed the steering wheel – causing the vehicle to leave the highway and overturn. He was killed in the crash. She sustained serious injuries, significantly compromising her vocational pursuits and recreational ability. She sued his estate, and was awarded over $800,000.00 in damages – which his estate could not pay. Ms. Felix sought to recover her damages from ICBC. The issue was whether he was an “insured” under her ICBC third-party liability policy, and whether his “use” of the vehicle caused her injuries. The word “use” is to be considered in the context of the legislative scheme to provide “access to compensation for those who suffer losses” as a result of a motor vehicle accident, along with the legislative history, context and jurisprudence noted above. The word has been given a broad meaning in other judicial authorities. Considering all of these factors, as noted in Rizzo Shoes, I can only conclude that the word “use” in s. 63(b) includes use by a passenger in a motor vehicle when it is used as a motor vehicle. ii) In the context of the facts of this case, is there some nexus or causal relationship between Ms. Felix’s injuries and the use of her vehicle by Mr. Hearne? 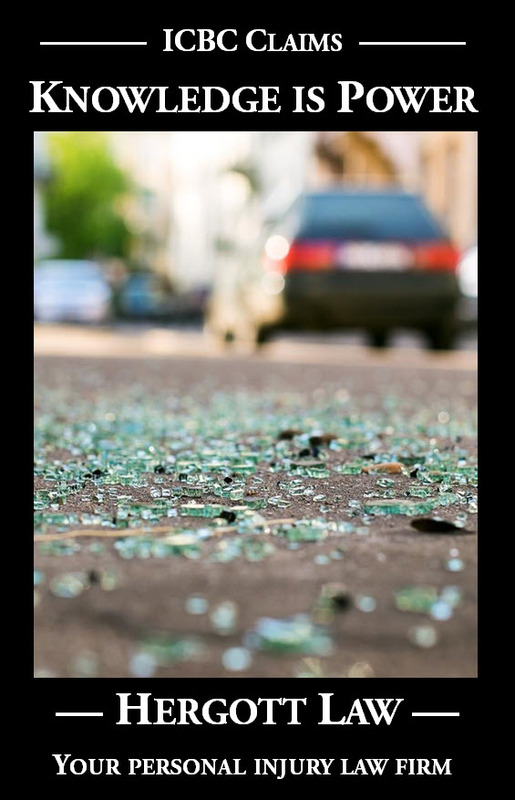 For coverage to exist, there must be an unbroken chain of causation linking the conduct of the motorist as a motorist to the injuries in respect of which the claim is made. In Amos, the Court said, at para. 26, “Generally speaking, where the use or operation of a motor vehicle in some manner contributes to or adds to the injury, the plaintiff is entitled to coverage.” See also Westmount (City) v. Rossy, 2012 SCC 30 at para. 42. While a passenger, or user, in a moving automobile, Mr. Hearne grabbed the steering wheel causing the accident that led to Ms. Felix’s injuries. It matters not for these purposes that he did not intend to take control of the car. He intentionally (and negligently) grabbed the wheel while he was “using” the vehicle. As a result, Ms. Felix suffered injury. There is, in my view, a clear unbroken chain of causation from his negligent act to her injuries. I would not disagree with the trial judge on this point. In summary, in my opinion, the trial judge erred when he excluded Mr. Hearne as a “user” and therefore not an insured under s. 63(b). I would allow the appeal, set aside the decision of the trial judge, and find that ICBC is liable for indemnification of the Estate of Mr. Hearne for the judgment of Ms. Felix.